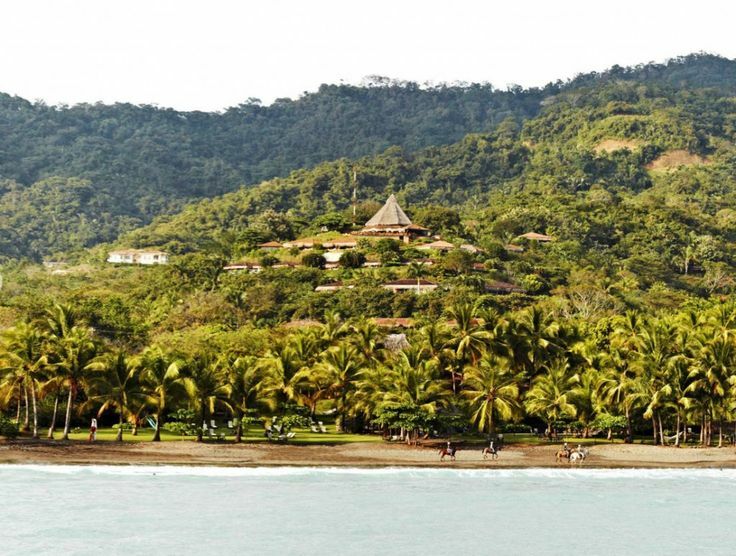 Nature Lodge is a charming hotel and restaurant inspired by the natural beauty of Montezuma. 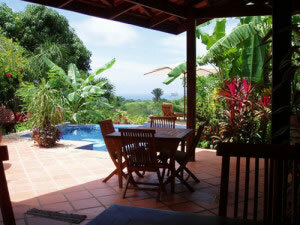 This small hotel / lodge is perched on a hill, somewhere between heaven and sea, with views of the jungle and the ocean. Relax and revitalize your spirit in this oasis of tranquility. 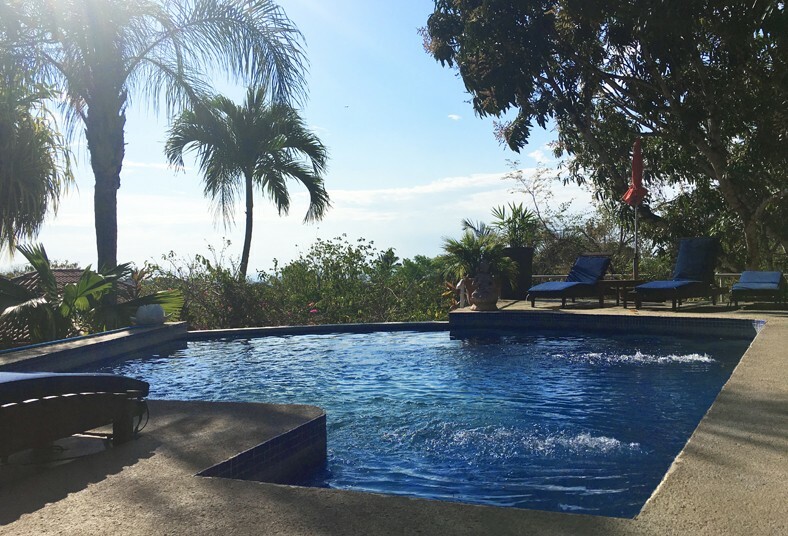 Nature Lodge is also the perfect place for bird watchers and adventure enthusiasts. Let the soothing sounds of the jungle surround you. Each morning brings sensational sunrises of brilliant color rising over the ocean and star filled night skies. All 12 rooms offer personal service, privacy and tranquility and are inspired by the vibrant natural setting the hotel built with beautiful local woods, stone and terracotta floors, using local artists and furniture makers to create a relaxed, romantic and barefoot elegant atmosphere. The reception desk is manned 24/7 for guests’ convenience. All of the rooms create a pleasant synergy with the lush tropical surroundings, with a sense of nature, design, and a comfortable relaxing ambiance. Every room offers private baths with hot water, ceiling fans, safe and refrigerator. The superior rooms have coffee makers and CD players and Wi-Fi is available in the restaurant area. Let the chef spoil your senses with only fresh and local ingredients in the relaxed and romantic outdoor patio restaurant serving delicious and creative Tropical/Mediterranean cuisine. The small and exquisite dinner menu changes daily.